The dynamics of today’s conventional warfare has changed. It is changing so fast that choosing to remain with the status quo means that you must be prepared as an Army to face constant humiliation and defeat from enemy groups including those called rag tag terror groups. Bringing it home, a question stares us right in the face. Simple but loaded and is waiting for real answers. Why did the Nigerian Army face such monumental assault at Metele without any immediate counter response to take down those BokoHaram terrorist who not only killed brave Nigerian Soldiers but also filmed their killings? 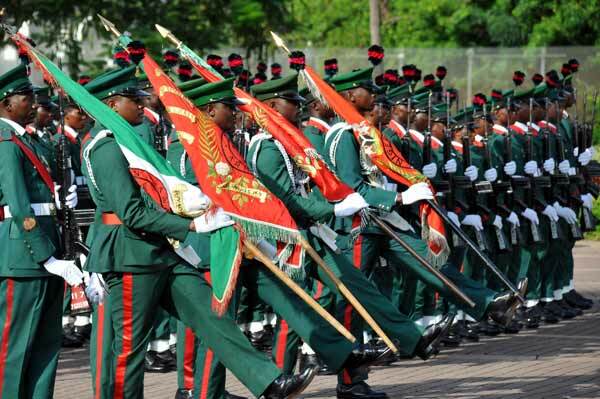 For more than three decades now the Nigerian Army has been reputed the world over for its superior ground combating style. But this is the 21st century and to successfully win any kind of warfare, the Army must innovate using superior technology or be ridiculed by less trained terror groups. Nigeria may have a fantastic ground combating troops but she is lacking in air superiority and effective intelligence gathering. These two reasons may well be the case why the Nigerian military suffered some monumental set back in recent times and Metele could perhaps be another wakeup call. Looking at the global landscape, to prosecute any successful warfare against an unconventional army requires more of superior intelligence gathering because it is imperative that you know your enemy and how they think. Nigeria has failed in this regard. Thus, our approach towards fighting Boko Haram needs to be completely overhauled. Syria and Yemen are major battle grounds in the world today but never have we read or seen images of soldiers being killed in such huge numbers as we are seeing in Nigeria. Why? I believe strongly that this is traceable to lack of superior technology and sophisticated air power. The art of war in the 21st century requires that you see your enemy even as they prepare to launch any kind of attacks against you. Where and how these BokoHaram terrorists move is important if we are to protect our soldiers that are stationed at different border towns across the Northeastern part of Nigeria. Metele will not be the last of these many surprised attacks that our soldiers often witness. This can only be done if you have the right technological capacity. We ask; “Does the Nigerian military have an air might even on the African Continent?” Your guess is as good as mine. The Second World War was won with Air superiority by the Americans. Since the end of that war, every serious nation that knows the meaning of “territorial integrity” has taken out time to develop their air power. This point leads me to ask, what truly is the shape and structure of the Nigerian Air force in today’s world of sophisticated fighter jets and aerial drones that can take down enemies from thousands of feet off the ground?. Not only that, what also are the new strategies the military is adopting to change the course of operations to increase effectiveness? This is a call on the Nigeria military to reposition and rejuvenate itself to manage and curtail the spread of terror. The task of keeping Nigerians safe is of utmost priority in a fast changing world. We cannot overemphasize that as the digital technological age enters a new gear, so also is the proliferation of terror. The Nigeria military must therefore wake up to these realities so we can save our nation from these mindless killings of both soldiers and unarmed civilians. Disclaimer: The above opinions are solely those of the authors. Tobmak Tips on How to Care for Leather Handbags & Shoes. #BBNAIJA18: WHAT DOES ENTERTAINMENT MEAN TO NIGERIANS?